THPBlog: Hancock Forest Management to log around the town of Mc Cloud, CA. Hancock Forest Management to log around the town of Mc Cloud, CA. THP 2-13-030 SIS (Bordertown THP) Hancock Forest Management, 3,246 acres; 68% group selection, 17% commercial thinning, 10% no-harvest, 1% shelterwood, 1% seed tree, 1% selection, 1% meadow restoration logging. Lower Mud Creek, McCloud, Upper Mud Creek, Lower Panther Creek, Lower Mud Creek, Squaw Valley Creek, Widow Spring (MD: T39N R2W Sec.3, 4, 5, 6; T40N R2W Sec.14, 16, 17, 20, 21, 29, 31, 32, 33, 34, 35; T40N R3W Sec.36). Winter operations, moderate erosion hazard, slopes up to 50%, 15 road drainage work sites, herbicides, oversized unit, 4 spotted owls within 1.3mi, long stolen sedge, scattered large trees. Estimated public comment deadline: 09/01/13. This THP is adjacent to the town of Mc Cloud, CA and has units along its northern and eastern borders. 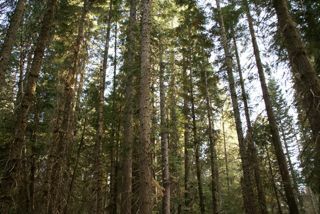 Hancock Forest Management is planning a tractor based logging operation in mixed conifer stands at an elevation of 3,330 to 4,200 feet. The THP area includes Mud Creek which has seasonal mud flows from Mt. Shasta, and Squaw Valley Creek which flows into the Mc Cloud River. 15 road drainage work sites are planned including rocking, culvert maintenance and dip construction. Hancock Forest Management wants to remove conifers around aspen groves on 16 acres to promote aspen growth. Heavy equipment will be used within the aspen restoration areas for timber falling, yarding and site preparation. A new landing will also be constructed within the aspen restoration area between class II watercourses and a wet area. There is a 38 acre seed tree step regeneration oversized unit. More information is available on the THP Tracking Center website.